One of my favorite sources for style inspiration is Barbara Hulanicki from BIBA. Hulannicki was among the hot designers of 1960s Swinging London. 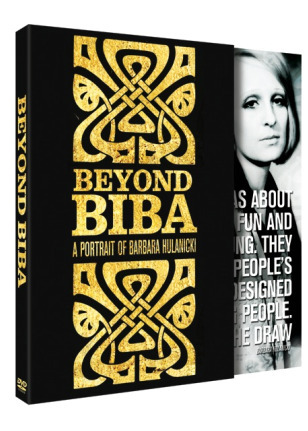 Her shop, BIBA, was known around the world and attracted trendsetters of the time, like Julie Christie and Mick Jagger. Click here to read more. Custom-made skirt by Theresa LaQuey. I decided earlier this year to add some custom-made classics to my wardrobe. Since I’m petite, of short stature with narrow shoulders, I have a very hard time finding clothes that fit properly. I realised that custom-made offers the quality of designer without the high price tag. Sure it costs more than off-the-rack at the local box store, but it’s also going to last longer and fit better. Here we have my first custom-made skirt done to perfection by Theresa LaQuey – an a-line plaid skirt which pops with fringe along the plaid pattern. The fabric was among a batch my mother had from 30 years ago. The best part? No one else has anything like this.